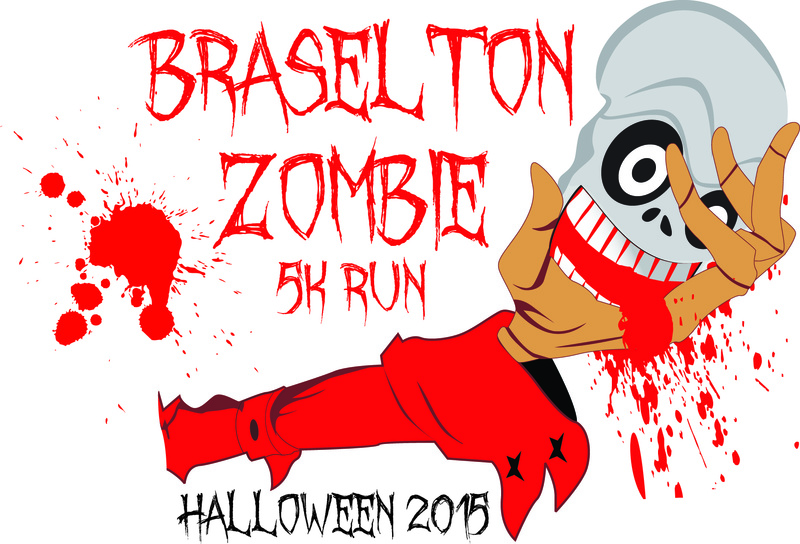 The course will be Littered with Zombies. Just out run them.... The start/finish line will be behind Braselton Antique Mall in Downtown Braselton, GA. All proceeds from the race will benefit the Town of Braselton Downtown Development Authority which works to assure the long-term economic stability of Downtown Braselton by maintaining the small town character of the district and supporting the fundamentals that assure Braselton is a great place to live, work, play, invest, and do business. Shirts are guaranteed to all pre-registered registrants and will be given out while supplies last to race day registrants. Awards will be presented to the top overall Male and Female finishers and the top 3 M/F in age groups 10-19, 20 to 29, 30 to 39, 40 to 49, 50 to 59, 60 to 69, 70 and up. Finish line management and results provided by Run With Me Racing with complete results posted online at www.runwithmeracing.com and www.runningintheusa.com. 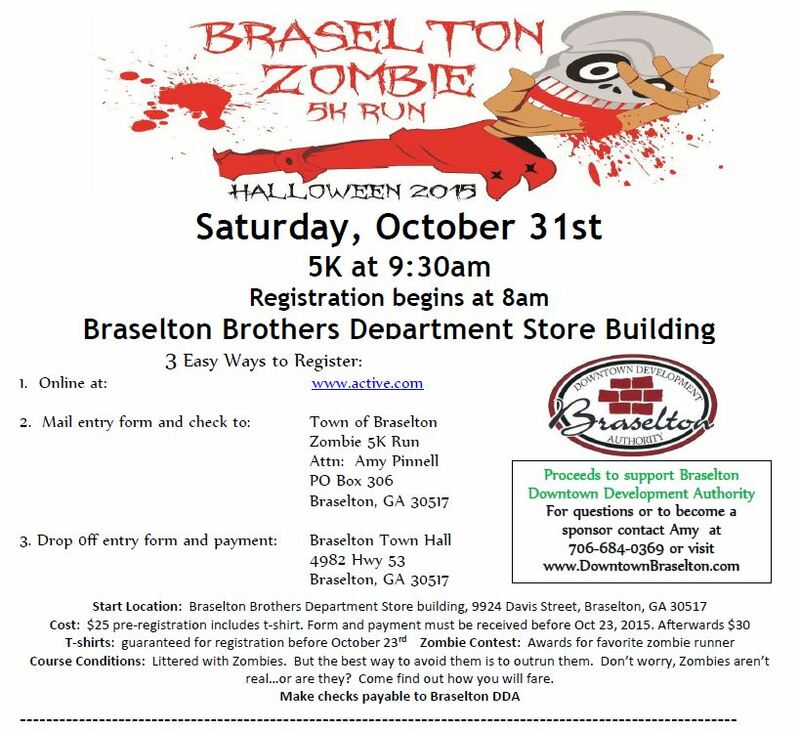 The entire course will be run on paved streets in and around Downtown Braselton.